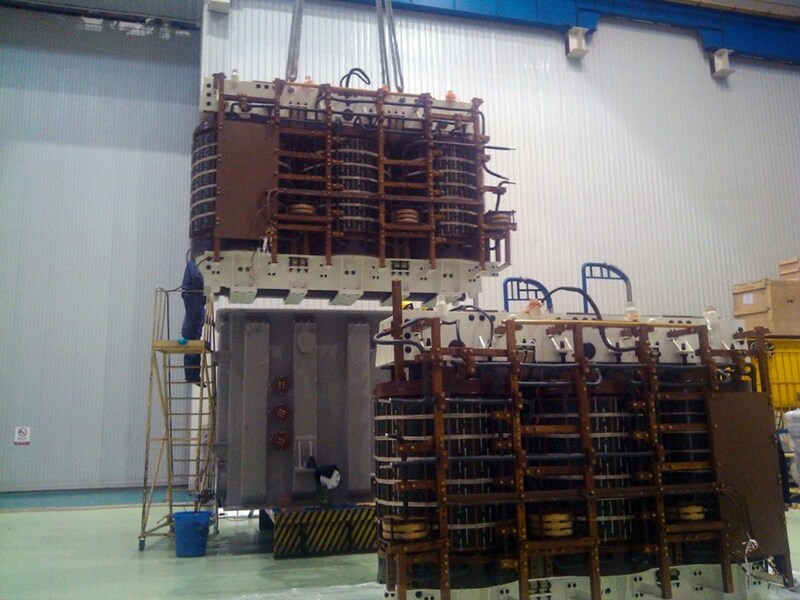 Qualification activities for the ITER poloidal field converter package are continuing in China where—in the latest round of successful testing—the prototype of the poloidal field rectifier transformer successfully passed the third phase of routing and type tests. From 25-28 February the rectifier transformer prototype fabricated by the Xi'an Transformer Co. Ltd (China XD Group) underwent testing in the presence of representatives from the ITER Organization, the Chinese Domestic Agency, the Institute of Plasma Physics at the Chinese Academy of Sciences (ASIPP), and XD in Xi'an. The positive results of this visual examination, following on the heels of recent successful short circuit tests, confirm the suitability of R&D carried out for the poloidal field rectifier transformer prototype. 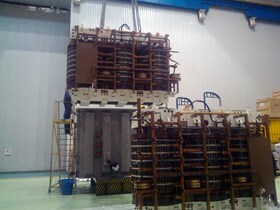 The rectifier transformer is one of the key prototype components of the ITER poloidal field converter package. With the assistance of ASIPP, ITER China issued the technical requirements for the fabrication and testing of the prototype according to the Procurement Arrangement signed with the ITER Organization in August 2012, and subsequently awarded the contract to the XD Group in December 2012. The supplier accomplished two procurement milestones in 2013—completing the manufacturing design review in April followed by the fabrication of the prototype—before fulfilling all required tests. The capability for the large transformer to withstand short circuit current is essential to guaranteeing reliability under the harsh operating conditions of ITER; short circuit test statistics over the past decade have tended to show a very high failure rate (nearly 30 percent). As a key component of the ITER coil power supply system, the test was carried out in full compliance with the latest IEC standards. Several peak current impulses up to 350kA were applied to the transformer and the evolution of winding parameters measured between each current application.